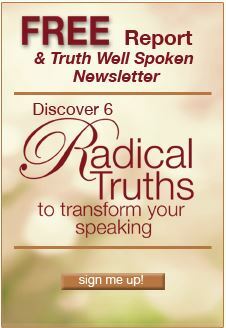 Join Gail and participants from around the world for Transformational Speaking—Online! This comprehensive and spirited training follows the design of Gail’s four-day live Immersion experience and includes seven teaching modules plus an Orientation and Graduation. As you work through each module, you’ll find step-by-step training audios, worksheets, and video conversations with Transformational Speakers to support you in applying what you’re learning. You’ll have 24/7 access to the Real Speaking® Academy to listen to the audios and view videos of Transformational Speakers in conversation and in action. In addition to regularly scheduled community calls with Gail, you become part of a private Facebook group to leave comments, post videos for feedback, ask questions and compare notes with classmates. The tuition for Transformational Speaking™—Online! 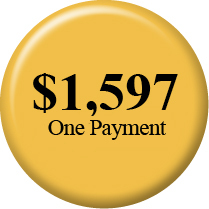 is just $1597. 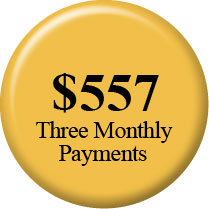 Gail’s four-day Immersions in Santa Fe are consistently enrolled months in advance at a tuition of $6600 plus tax, airfare, hotel and other travel expense – a total investment of $8,000+. You get all the teachings and processes of the Immersion in this elegant online course, and you can start right away! Please review our no-refund policy below before enrolling. Our 3-Step Pre-course Orientation designed to assess where you are in your speaking and self-expression now and where you want to be at the end of the course, with weekly check-in emails to stay on track with your intentions. An active private Facebook Community to meet and converse with others, find partners for your journey, and inspire your consistent action on the Transformational Speaking™ journey as you work with others equally committed to finding and expressing their true selves. This circle of friends supports mutual learning with valuable feedback, plus you’ll gain from each others’ experience and breakthroughs as you dive into your stories and create a new talk. Are you ready to invest in expressing your authentic self and bringing your gifts to the world? Understand that through this course, you’re investing in your relationship with your own deepest truth. Money is only one aspect of your investment. It takes time, effort and courage too. When you commit to finding and expressing your truth, you must follow that intention through to the very end. That’s why, just as with the live Immersion, I offer no refunds, for any reason. That assures you show up fully committed to yourself and to your intention. You have to be “all-in” to do this work. No doubt the process will challenge you. You may need to examine uncomfortable things you’ve avoided, perhaps for decades. When you commit to change, you can expect to hit some walls. You might be tempted to stop before you get to the other side. By eliminating the possibility of a refund, I’m supporting your intention to complete the course. 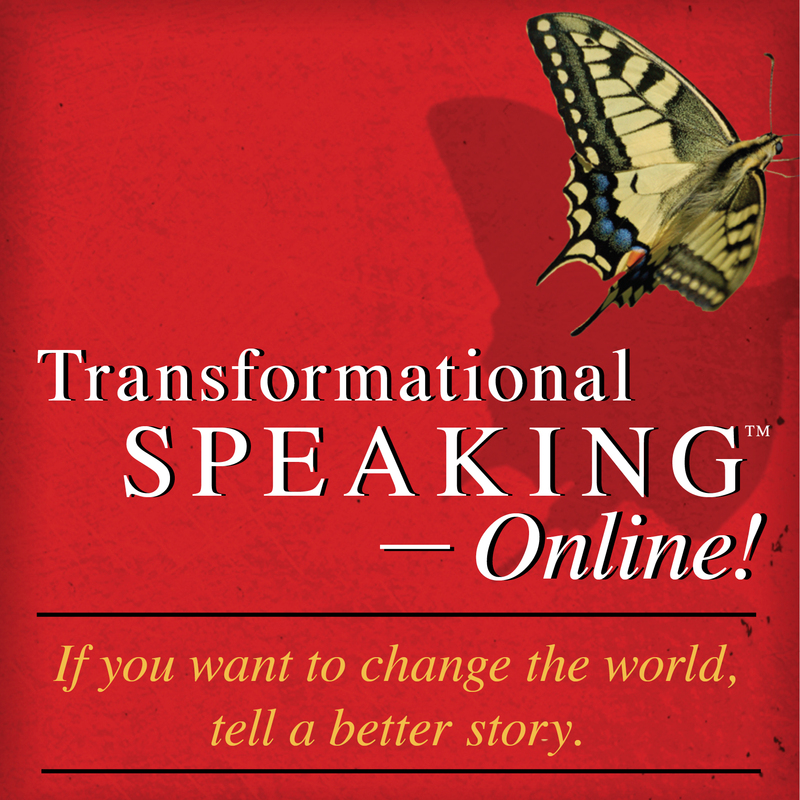 Because it is designed to be completed, Transformational Speaking—Online! takes you through a specific arc of development. If you stick with it, I’m confident you’ll find your message and your voice. 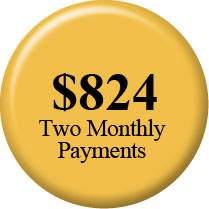 When you make the decision to enroll, I want you to feel excited, clear, and good. That’s why I’ve included all the information you need to decide right on this website. So here’s an exercise in connecting with your inner truth right now. Are you ready? Is this your time to dig deep and find the gifts within that will make a bigger difference for your life, your audiences and those around you? Listen to the answer and trust yourself. Copyright © 2019 by Real Speaking, LLC ®. All rights reserved.